How do I get to McConnell Road Baptist Church? McConnell Road Baptist Church is located at 3911 McConnell Road in Greensboro, North Carolina. You can get directions and a map from where ever you are on our map page here. 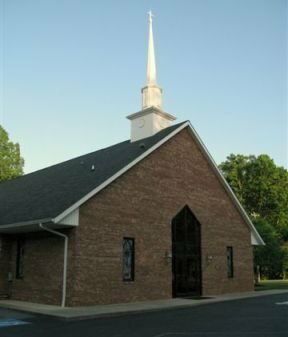 Our church usually has about 50 attendees for Wednesday night services, 150 attendees for Sunday morning services, and 50 attendees for Sunday evening services. Whether you prefer large or small crowds, you can rest assured that you will feel welcome. Our dress reflects who we are going to see. If we are going to visit the governor or the president, we dress appropriately. We need to remember that when we come to worship; we are going into the presence of The King of Kings and the Lord of Lords. Two words express how we are to come into the presence of the Lord, conservative in our dress and modesty in our dress. We should not “dress down” to come into the presence of God but “dress up”. Services are on Wednesday evening, Sunday morning, and Sunday evenings. The service times are available here. No matter which service you choose to attend, we will have nursery for small children, and youth programs for older children. If your child stays in our nursery, you will be given a pager and will be paged if your child needs you. Don’t worry, we have plenty of parking on site at the church. Feel free to park anywhere, there are no reserved spots.